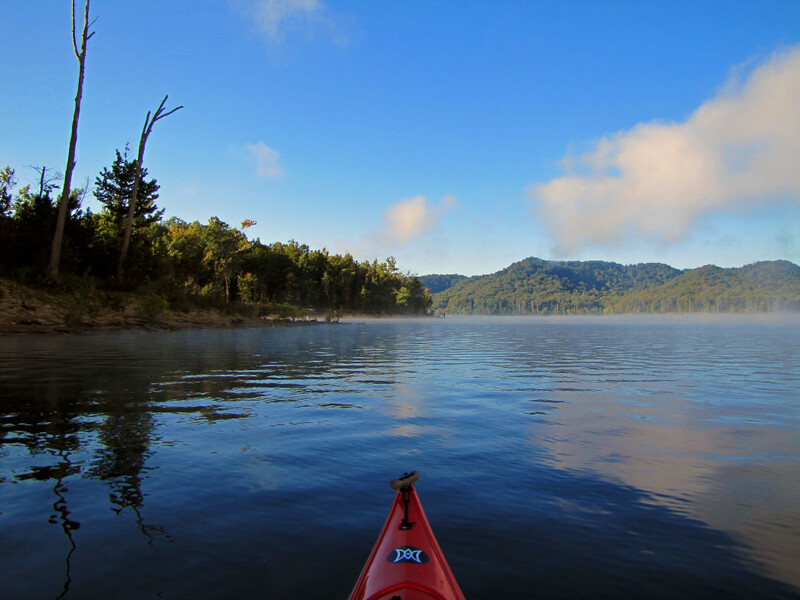 Part of the Cumberland Ranger District within the larger Daniel Boone National forest, this 8,000-plus acre lake is a scenic spot for an easy paddle. The lake itself is a serene and easy paddle. The lake never freezes over, but summer is certainly the season to go if you want to swim and get a tan while you’re at it. Some recreation areas and boat ramps around the lake require a fee pass, but parking is free. Near Morehead, Kentucky is where you’ll find Cave Run Lake. Known for its beauty and epic sunsets, Cave Run Lake is also where the largest muskie in Kentucky was hooked. Operated jointly by the U.S. Army Corp of Engineers and the U.S. Forest Service, the former constructed the lake to provide flood protection to the local areas in Bath, Rowan, Morgan, and Menifee counties. These days, the lake is a hotbed for recreational activities ranging from camping and hiking to boating and flatwater paddling. As the lake’s locally managed website puts it, “once you visit Cave Run Lake and experience all that the Daniel Boone National Forest has to offer, you will probably become a return visitor”. The clean water and serene natural surroundings found here keep visitors coming back year after year. There are 12 boat ramps available, some of which are free to use. The Clear Creek Boat Ramp is reserved for non-motorized boating, so it’s a fine place to drop a board, canoe, or kayak in the lake. Billy Branch and Boat Gunnel are excellent paddling destinations to take lunch and take a nap under the shade of a tree. Twin Knobs and Zilpo are popular spots that offer swimming opportunities. With everything from horseback riding to hiking, there are plenty of other activities to do at the lake. You can also make a weekend out of it by taking advantage of the camping options here. Zilpo has cabins for rent and Paragon Dispersed Camping area is the place to go to pitch a tent. Paddlers of all levels looking for a scenic excursion will like what they find at Cave Run Lake. Beginners and low-level intermediates are sure to enjoy themselves, and families will also enjoy with the facilities the lake has to offer. Cave Run Lake is an easy paddle, but there are a variety of boats (both motorized and not) that are allowed on parts of the lake, so make you know the rules ahead of time. Paddlers who are looking to mix their visit with camping, hiking, horseback riding, or any variety of aquatic activities will love what Cave Run Lake has to offer. You’ll find Cave Run Lake about 60 miles east of Lexington. Exits 123, 133, and 137 off of I-64 all provide access to the lake.